Cupcakes 'n Daisies: I Know You Can Do It . . . . . I Know You Can Do It . . . . .
bunny and chicks . . . in cupcake papers....how perfect is that!! She's good about finding just the right card for me. I have several of them setting out in my sewing room, I can't bear to throw them away. I packed this card up with the Easter decorations so I can enjoy it all over again next year. you sew these triangles and strips onto a 10 inch piece of quilt batting to make a block. The block on the left is the front side and the block on the right is the back side. When you've finished piecing the blocks, you connect the blocks by adding sashing, and the quilt is all done, pieced and quilted at the same time. I enjoyed the class, my classmates were a fun group and the teacher was great.....the method, not me. I love this poppy fabric by Pamela Mostek for Clothworks and decided it deserved to be in a better pattern. So I threw away all my 10 inch blocks of batting and put the fabric in a project box, waiting for the perfect pattern. ( I know you're cringing at the thought of me tossing those batting blocks...I'm sorry, I'm just not a keeper!) I have since learned not to cut ALL the fabric for a project until you know if you're going to like that project!! 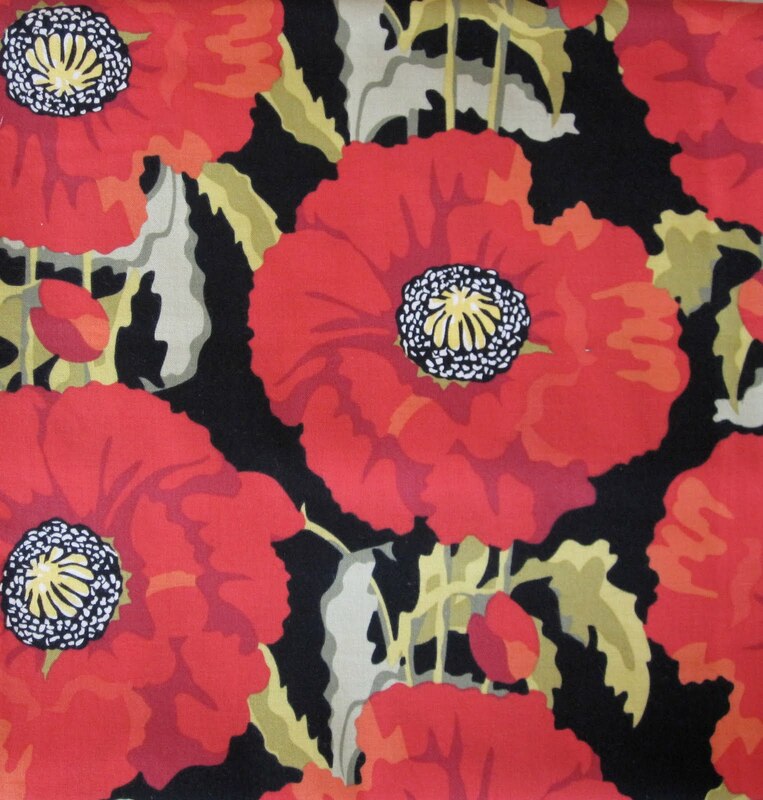 AND this large poppy fabric? Note: the triangles, when pieced together, make a 10 inch square. I am so hoping there is someone out there that looks at these pieces and says, "Yes, I know just the thing". I've been looking for at least 4 years and have not come up with anything. I toyed around with a Lady of the Lakes block with the light poppies on top and the dark poppies on the bottom of the large center hst, but I'm hoping for something better than that. I'm open minded about cutting the triangles or any of the fabric, so don't think we have to stay within the parameter of the piece's current shape and or size, or use all the companion fabric, I mainly want to do something with the poppy fabric. If I make a quilt using a pattern that you suggest, I'll reward you with a surprise. What, I don't know, I guess it depends on what I think you'll like, but you could be a winner AND make me a very very happy happy quilter. As Gomer Pyle used to say, "Thank You, Thank You, Thank You"
I love those colours, Thelma. I'll put my thinking cap on. How big are those triangles? Love the poppies~ they made me think of pinwheels, I love pinwheels. :-) Use the coordinates for the other half of the pinwheel... I'm sure whatever you come up with will be beautiful!! Have fun! 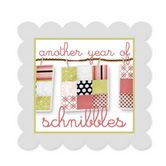 You could make the quilt blocks that you were making for the reversible quilt--just don't make them quilt-as-you go. Just make blocks. Sew them together, with or without sashing, then quilt. I love the fabric. Ok. Collect some tone on tone whites (or whites with a touch of black) & cut them into 2 inch strips. Construct log cabin blocks using the whites and the blacks, with the red being the center square on each log cabin. Combine the log cabin blocks in any sort of layout that appeals to you. Apply a narrow black contatinment border. Use the poppy fabric for your border. Oh, and toss the triangles. 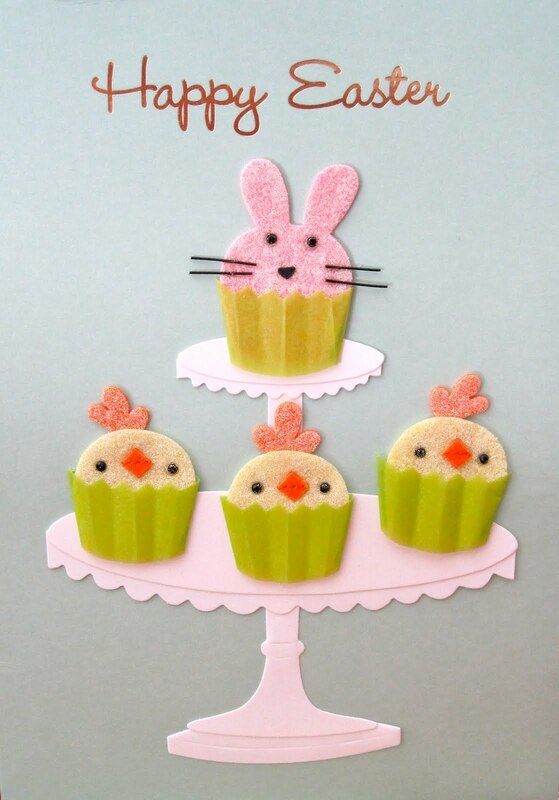 Thelma, I just love that bunny cupcake card your daughter sent you!!! Way too cute and very perfect! Sorry, can't help on the challenge. My brain still hasn't recovered from spring break. Good luck though as those are gorgeous fabrics. No ideas from me - I'm more of a copier than an originator. But you always come up with great quilts - just look at these gorgeous fabrics! Thelma, you take the cake (or maybe the cupcake). 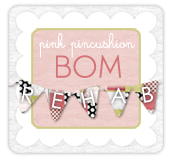 Always love seeing your blog and what you are are up to. I have two UFO's of that same exact quilt project. The blocks are all done, but I never sashed them all together. It was too similar to binding. And you know how I feel about binding. Paducah . . . . Part One . . .
First Stop. . . . . . Chicago . . .
Tootin' My Horn . . . . . .
A Clean Slate...or Design Wall . . . . . . It's a Beautiful Day . . . . . .
On Deck . . . . . .
Easter Monday . . . . . .
A Few More Rungs up the Ladder . . . . . .